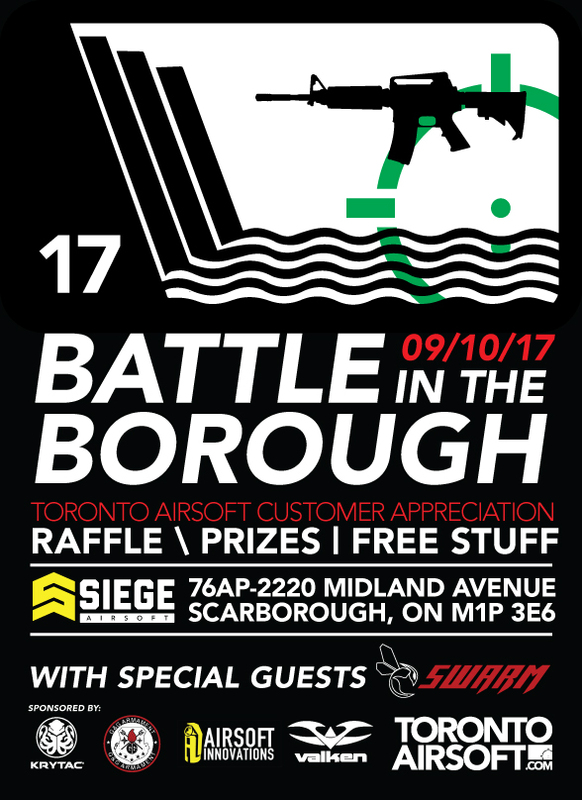 Welcome to Toronto Airsoft's SECOND customer appreciation event! 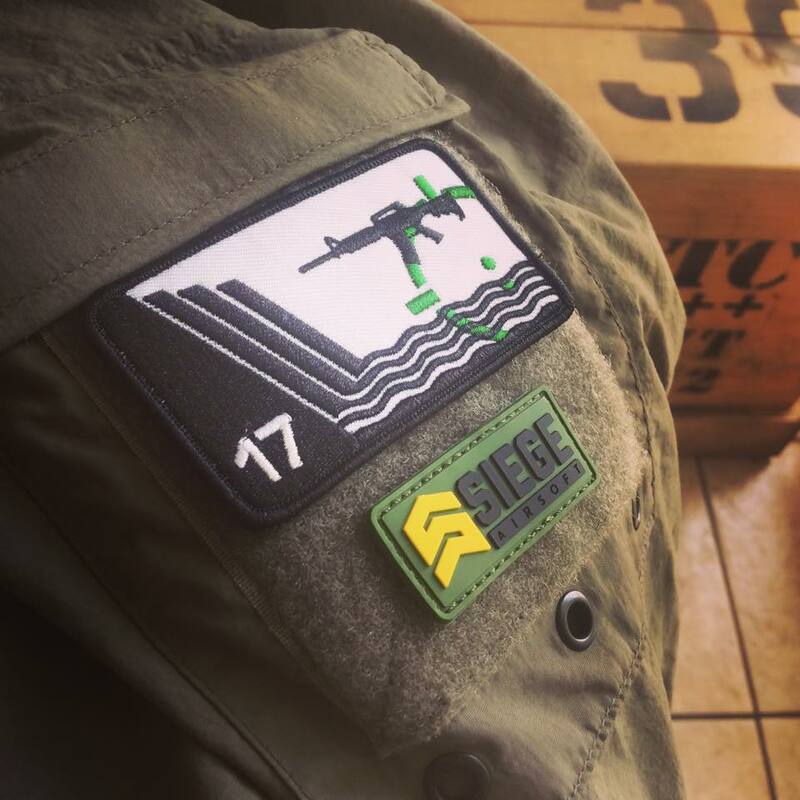 It has been a long time coming, thankfully our friends at Siege Airsoft have come to the rescue. Prepare yourselves for an epic day of indoor airsoft action! Starting at NOON on September 10th 2017 and going until 5pm. This event is NOT capped, we are however only selling 100 pre-registrations. PLEASE!! Bring a printed copy of your invoice to the event as this will count as your ticket for entry. We will have a list on site, however this will help us expedite the process. This event is $39.95 per person, the same price as standard Siege Airsoft field entry for the day. Bonus: All attendees will be able to continue playing at Siege Airsoft for the day until close (10pm) at no additional charge. Game types: Standard Skirmish day, large crowd scenarios as well. Only the 100 pre registered attendees will receive a GOODY BAG contributed by our generous sponsors. These include: Airsoft Innovations, Valken, KRYTAC and G&G Canada. This will include small trinkets, freebies and knick knacks of awesomeness. Game Patch: Limited Edition Game Patch only available with pre-ordered game tickets. At the end of the event (5pm) a raffle will be held for the large prizes donated by our generous sponsors. Everyone attending the event will be given 1 ticket, those that are pre-registered will receive an additional ticket essentially doubling your chances of winning! More to follow! Last updated August 25th 2017. Product Link: Not Available yet, we're still working on it. Courtesy of Valken Canada Inc. Product Link: Not available yet! PLUS Goodie Bags for each pre-order ticket holder!